If you don't know his name, it's because he works tirelessly behind the scenes to promote wine. Dan Fredman is a public relations expert based in Malibu and specializing in, as his logline proclaims, "Marketing to the thirsty." Dan has worked in various facets of the wine industry for decades and was named Hospice du Rhône's "Person of the Year" in 2007. He helps wine folks get their stories out in an efficient and compelling way. He thinks of himself as an advocate of wine, and presents his clients' stories that way. Plus, he's been busy expanding his palate at just about every Southern California wine event. "For Thanksgiving suggestions, I’d go with the Consilience Viognier. The lushness of the Viognier helps it bridge the gap between turkey (white and dark meat) and the things like stuffing and sweet potatoes that are usually difficult to pair with food. It’s pretty broadly available around the country, usually selling for less than its $24 suggested retail price." "The Tre Anelli Albariño works well with diverse foods too, although where the Viognier is rich and pretty full on the palate and sort of melds with the food, the Albariño is lighter-bodied and serves as sort of a frame for the food, much like the way a painting’s frame enhances the artwork." 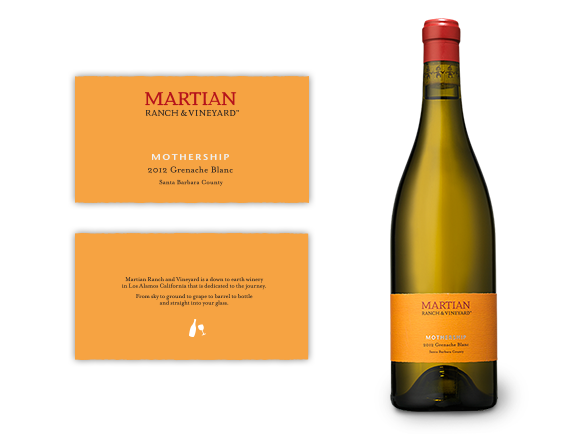 "The Grenache Blanc from Martian Ranch & Vineyards splits the difference, offering complexity in a lighter-bodied wine that’s still rich enough to hold its own with the diverse dishes that comprise a T-day meal." 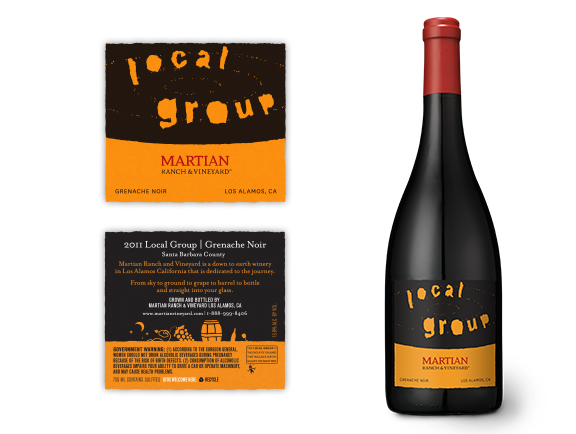 "Martian’s 'Local Group" Grenache Noir is also an ideal T-day wine, offering some spice and rich texture to make the meal pass by (and through) a little more smoothly." "Trombetta Family Sonoma Coast Pinot Noir. This steps it up in the elegance category, being a rich, complex (yet elegant) wine from Sebastopol in the Sonoma Coast AVA. The Petaluma Gap just grows some great grapes, and this wine (from a mother/daughter winemaker team) really delivers for holiday meals, regardless of which holiday." "Uvaggio Vermentino and Barbera. 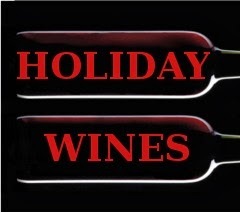 Both are just ridiculously enjoyable (ie: drinkable) wines that work beautifully with holiday food. They may not have the cachet of some of the über-expensive wines that are usually trotted out for such meals, but they just work really well. And they are widely available and sell for under $20. What could be better than that?" When people think of Oregon, they usually think “Pinot Noir” and nothing else. Well, Brooks makes excellent Pinot but their passion lies in Riesling. Yup, they often have nine different Rieslings in their lineup, all reasonably priced and with the International Riesling Foundations scale on the back of each one letting you know how sweet it is (or isn’t). The Brooks Willamette Valley Riesling is a great starting point - bone dry, great with turkey or as an aperitif to get the evening started out properly."